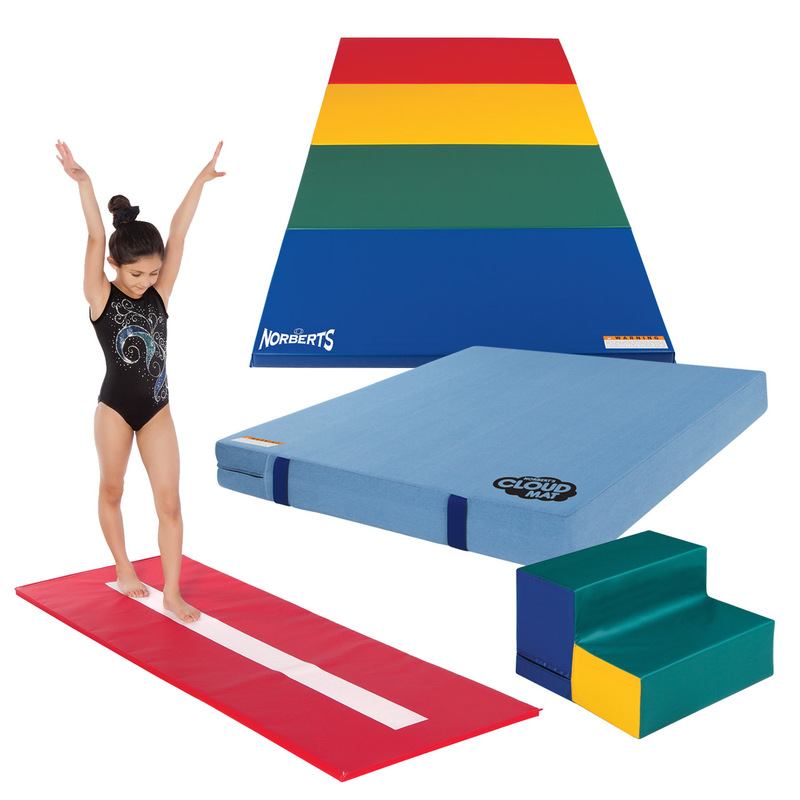 Gymnastic Mats - Fundamental Mats - Norbert's Athletic Products, Inc. In addition to all the foam shapes and other training aids we offer for fundamental or kidnastics programs, Norbert's also makes dedicated "fundamentalized" versions of our very popular mats. Filler used in these mats provides more cushion for young beginners without sacrificing energy absorption. Covers are made of the same long-lasting 18 oz. vinyl used for all of our other excellent mats. Cirrostratus Cloud Mat, 60" x 120" x 8"
Cirrus Cloud Mat, 60" x 60" x 8"
Cumulus Cloud Mat, 36" x 48" x 4"